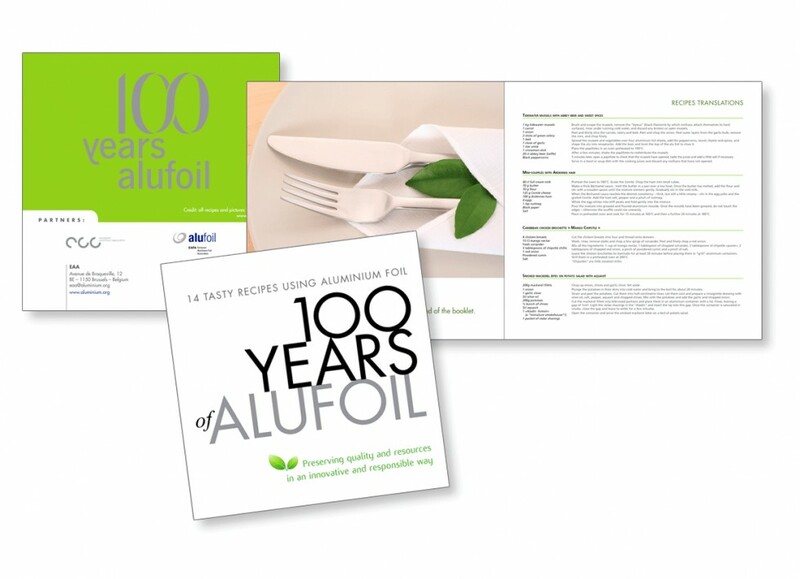 Livre de recettes pour ALUFOIL, l’European Aluminium Foil Association. Le point commun de ces recettes est l’utilisation du papier aluminium. The European Aluminium Foil Association (EAFA) is the international body representing companies engaged in the rolling (in all thicknesses up to 0.2mm – the ISO standard maximum) and rewinding of alufoil and in the manufacture of aluminium closures, alufoil semi-rigid containers and of all kind of flexible packaging. Its more than 100 members include companies in Western, Central and Eastern Europe. Founded in 1974 it has its roots in associations dating back to the 1920s. Today EAFA comprises.